Search engines and Google, in particular, have expanded like crazy in the past few years in order to service the demand for content on the internet. As access to the web becomes, ubiquitous Google looks to remain the front page and gateway of the worlds internet experience. These guys really never rest and make sure we're completely hooked on their range of products for all our data and content discovery needs. The kings of the search are back at it again; Google has launched a new type of search engine explicitly designed around helping people find data sets and sources. This new version of search is called “Dataset Search,” and this serach engine provides easier access to millions of datasets across thousands of data repositories on the web. The new search engine which is still in beta is currently open for anyone to use and Google emphasises the benefits it has for journalists and data scientists. Why the need for Dataset search? Where does Dataset search pull its data from? 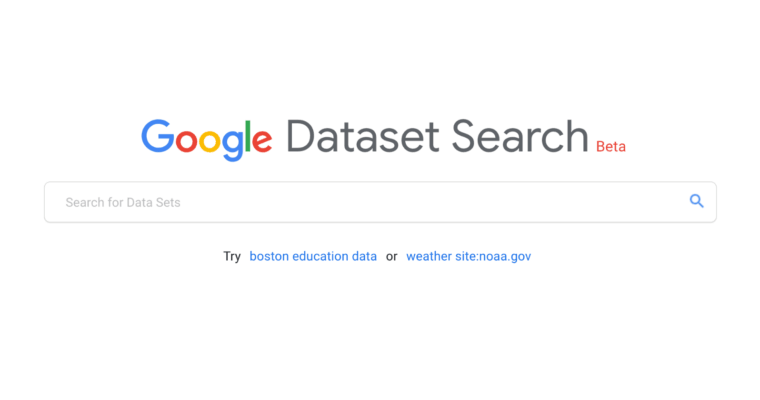 Similar to how Google Scholar works, Dataset Search lets you find datasets wherever they’re hosted, whether it’s a publisher's site, a digital library, or an author's personal web page. To create a Dataset search, we developed guidelines for dataset providers to describe their data in a way that Google (and other search engines) can better understand the content of their pages. Google’s new search engine which was rolled out in July is mainly dependent on the schema markup in order to identify dataset providers. Dataset markup allows publishers to describe their data in a way that Google (and other search engines) can better understand the content of their pages. What types of data can I find? Currently, Dataset Search can be used to find references to most datasets in environmental sciences, social sciences, as well as government data and data provided by news organisations. Google encourages dataset providers to utilise these markup in order to have their content included in Dataset Search. Dataset Search provides a brand new search option and real estate which could now put sites that have used schema for ages at a strategic advantage as a preferred source of data. Google's Dataset Seach may seem like a tool purely for academic research but its actually a powerful tool for creating content. You can now find reliable sources of data for case studies in your field of expertise and use that to create superior content and improve your current content marketing strategy. This is a tool I think digital marketers and specifically SEO and content writers need to consider using regularly.